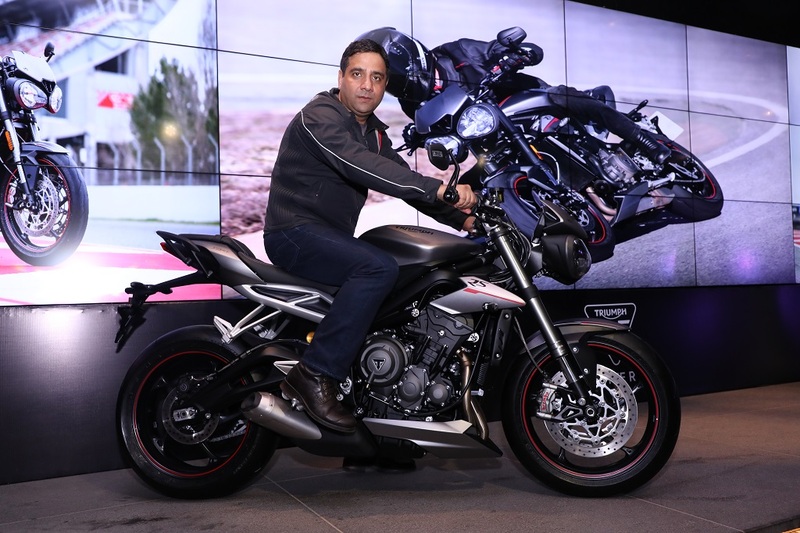 At an event in Delhi, Triumph has launched its most explosive street motorcycle – Street Triple RS! 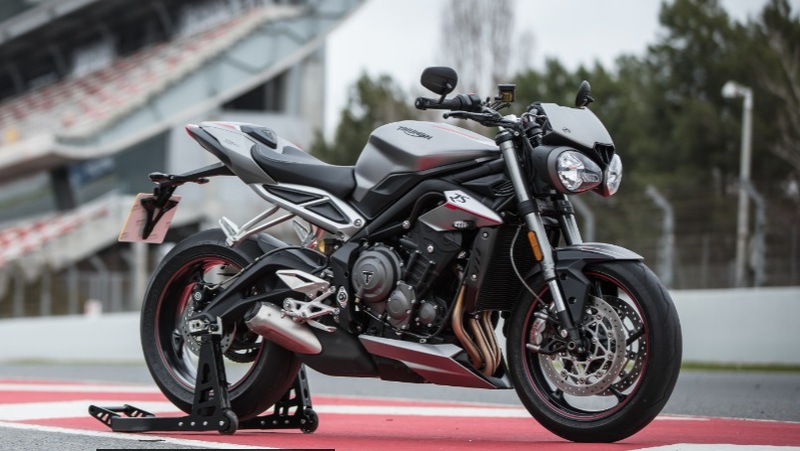 The RS variant of Street Triple is powered by a new 765 cc motor from the Daytona and is capable of churning 123 PS of peak power (10 horses more than the standard motorcycle) at 11,700 rpm and 77 Nm of maximum torque (4 Nm more) at 10,800 rpm. Street RS gets its unique engine set-up, ECU tune etc. Triumph informs that the motorcycle gets 80 new parts which include new crank, piston, Nikasil plated aluminium barrels, apart from an increased bore and stroke. This has resulted in a significant performance enhancement specially in the lower and mid range. 5 Inch Full colour adjustable TFT instrument cluster – it comprises of 3 different screen display styles. One of the styles also has a lap timer which is exclusive for the ‘RS’ version. Riding Modes – User can choose from Rain, Sport, Road, Rider-programmable and Track. Based on the mode, the motorcycle adjusts the throttle response, traction control, ABS and other settings. Ride by Wire, slip & assist clutch. New on-board Computer – Exclusive to the RS version, the new computer shows two trip meters, average and instantaneous fuel consumption, selected riding mode, range to empty, coolant temperature etc. Other features include new switch cubes with 5-way joystick, switchable traction control, Quickshifter, DRL headlamp, Higher-spec fully adjustable Showa suspension at the front and Ohlins monoshock at the rear, Pirelli tyres and enhanced brakes etc. This is about Rs 1.8 Lakhs more than the Street Triple S.
Triumph is offering the range-topping Street Triple RS in a choice of two colour options – Matt Silver Ice and Phantom Black Metallic. Triumph has kept over 60 accessories for the RS which include Arrow exhausts, colour coded seats, swingarm protector kit etc. Also Read: 2017 Triumph Bonneville T100 Review – Your Anger Controller! Bookings for the motorcycle have commenced, however, the first lot till February 2018 has been sold out.